Our Wandering Palate wanders into the Australian gold country of Moonambel-Pyrenees, Victoria, to come up with a favorite chardonnay. 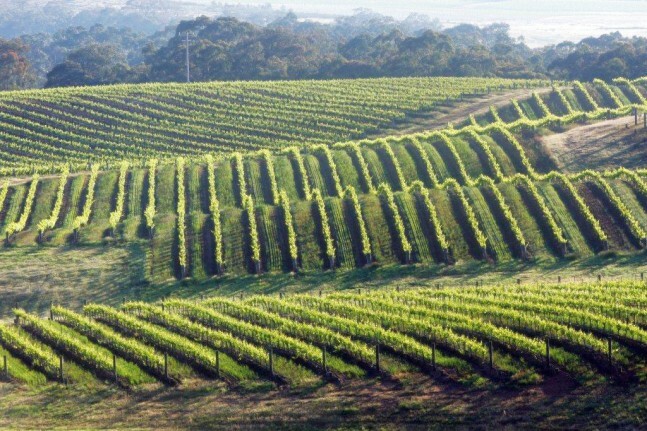 I have been on a chardonnay crusade since writing on the subject in October, 2009, and as I taste through the current vintages of top producers from Australian, my headline “Another Brilliant Chardonnay” reverberates. So indulge me as I write a succession of reviews over the next month on the pick of cutting-edge Australian chardonnays. First up is Dalwhinnie, one of my favorite producers which I have been following for over 25 years and among the first vineyards I visited in Victoria as a young, keen sommelier in the mid-1980s. Beyond Melbourne’s dress circle of vineyard regions and in to the Australian high country, it’s a good two-and-a-half hour drive northwest to Dalwhinnie, near the small village of Moonambel. This is gold country. Indeed the first gold in Victoria was discovered near here in 1849 and the was genesis of the region’s rich history and tenacious early settlers. The Scottish explorer and surveyor, Major Thomas Mitchell, was the first European to travel through here in 1836, naming it the Pyrenees, as the lush pastures reminded him so much of the Pyrenees in France and Spain, where he had served as an army officer. Mitchell described western Victoria as “Australia Fennix” (Latin for fortunate Australia” or “happy Australia.) ¹ and perhaps this fomented the modern-day Australian adage “The Lucky Country”. Ironically, a lot of people were not lucky in striking gold and despite Mitchell’s enthusiasm, this was a harsh countryside to survive in. Having travelled through the foothills of the region myself, I would describe it as rugged and challenging; or what the locals call Goanna country! That said, there is unexplainable beauty about this parched landscape, which is dominated by tortured gum trees and scrubby bush with every shade of earthy colors – browns and ochre – one could imagine. I always think that it is not possible to fully appreciate an Aboriginal painting until you have seen the Australian countryside, to really assimilate the spectrum and subtleties’ of color that speak of the land. One of the most indelible memories I have of the Australian vineyard-scape is climbing to the top of the ridge and plateau above Dalwhinnie vineyard with a sweeping 360 degree view as far as the eye could see; literally a bird’s eye view with rather menacing 8-foot-wingspan wedged-tailed eagles soaring on thermals just over our heads. Thus it is no wonder the proprietor, David Jones, had a doubting look on his face when we said we had packed a picnic lunch and were heading up the ridge, as he inserted a well-chilled bottle of Dalwhinnie Chardonnay into our hamper, with the look of a Mayan priest smiling at his subjects heading for a ritual offering. The unique amphitheatre of Dalwhinnie vineyard has the natural contours and rustic appearance of the perfect vineyard site that the Romans would have instinctively identified as superior grape growing country, although it would taken more than a few slaves to shift the massive quartz boulders that run throughout the sub-soils here. I walked amongst the slopes and contours of the southwest rocks block with David Jones in 1992, just after the topsoil was ripped by huge Caterpillar earthmovers, in parts the deep veins of auriferous quartz so solid that they had to be dynamited to break them up sufficiently to get the wooden posts in for vine trellising. Dalwhinnie vineyard has always reminded me of the slopes and undulations of Côte-Rôtie in the Northern Rhône Valley of France, and there is certainly a synergy here in being perfect syrah (shiraz) territory. However, at 350 meters above sea-level, Dalwhinnie’s unique and temperate meso-climate is ideally suited to chardonnay, consistently achieving complete physiological ripeness. It is unquestionably a powerful chardonnay, yet in no way lacking finesse, balance or elegance. I would also go as far to say that this is one of the most unique and quintessential examples of contemporary Australian chardonnay, displaying an unmistakable “sense of place”, or terroir, with infused minerality from the ancient quartz rock and sedimentary soils and leached alluvial top-soils from gold mining days. It does however remind me of a modern Californian chardonnay in its characteristic orange and mandarin-flavored acidity profile. Maybe that’s why I like it so much in its uniqueness from the normally lemony-citrus profile found in Australian chardonnay. With chardonnay planted in 1980 and subsequent plantings in 1988, 1993, 1995 and 1997, fully-mature, virtuously dry-grown vines unquestionably underpin the elements of terroir. 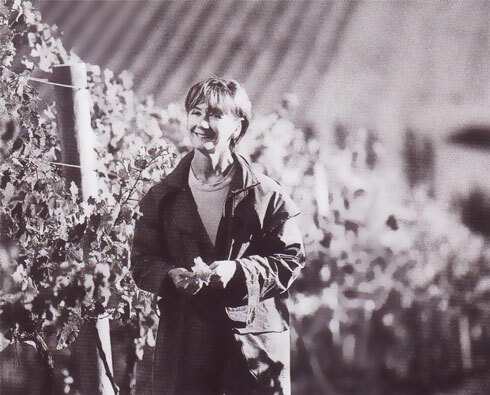 Moreover, 30 years of vine growing and 25 vintages of chardonnay speak volumes. That is not to say things are not evolving and David Jones is continually fine-tuning their chardonnay, more recently increasing the content of wild fermentation (natural yeasts) and malo-lactic fermentation. Dalwhinnie wines largely sell out upon release, bolstered by a well-established following in Australia’s top restaurants. Thus, only tiny quantities are exported to a few Asian countries. However, their relative obscurity to the international market works in our (Asia consumers) favor as the regional distributor is generally a few vintages behind the current release in Australia, with the currently available 2006 Chardonnay benefitting enormously from a few extra years in bottle. Actually, that could be said for most contemporary Australian chardonnays. With two or three years in bottle, there is a metamorphosis from the primary fruit, fermentation and oak characters and youthful acidity with discernible integration of its components and generally beginning to display attractive secondary characteristics and complexities. With the alluring aromas of curry-spices and tandoor chicken permeating the dining room at Coriander Leaf www.corianderleaf.com, the 2006 Dalwhinnie Chardonnay was totally synergistic with the flavors of textures of our Moroccan-Middle Eastern-Indian banquet. My note reads: Toasted muesli and scents of peppery virgin olive oil, distinct notes of fennel seed and white pepper spiciness, evolving to a sweeter aroma of vanilla custard with peaches and apricot, baked pastries – like walking in to a patisserie – with a back ground scent of Californian citrus mandarin-orange acidity. Gorgeously textured, creamy and oily yet still elegant and slippery, not at all heavy but powerful and exotic, fleshy-peachy middle palate, becoming more and more powerful with apple flavors developing, like baked apple or apple coconut crumble, then oscillating towards savory with an invigorating spiciness on the palate, like a yellow curry with turmeric and cardamom perfect (and the chicken curry had not arrived at the table yet). Has an intense Oloroso sherry-like nuttiness and infused spiciness on the farewell with a lingering marzipan-almond-icing nuance. Exhilarating stuff really, the sort of wine my friend Alistair describes as “hand-to-hand combat wine in an Indian curry house”. You can indulge your senses for a mere S$65 for the 2006 Dalwhinnie Chardonnay purchased through Crystal Wines in Singapore, www.crystalwines.com Tel: +65 6737 3540. They will happily organize delivery anywhere in Asia, as long as you factor in freight and sort customs clearance your end.